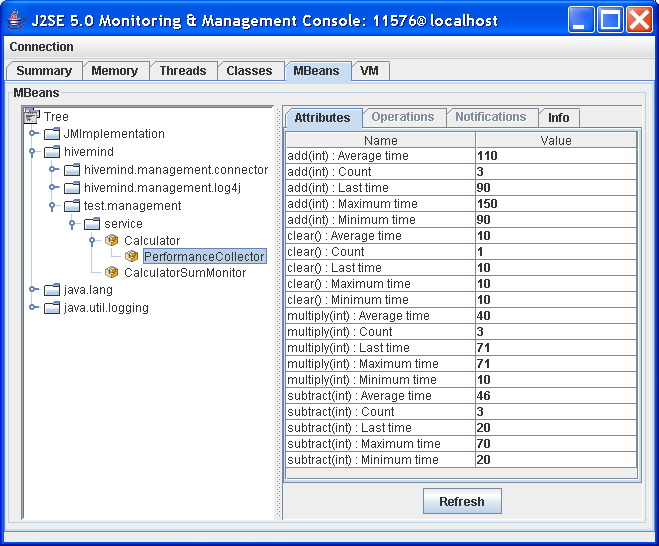 The interceptor PerformanceMonitor collects statistical data about calls to a service. The results are sent to a newly created mbean. For each service method it displays: number of calls, maximum, minimum, average and last execution duration. By default a service - and thus it's interceptors - is created on the first call of a service method. If you want to get the performance mbean at startup, add your service to the EagerLoad contribution.